1. 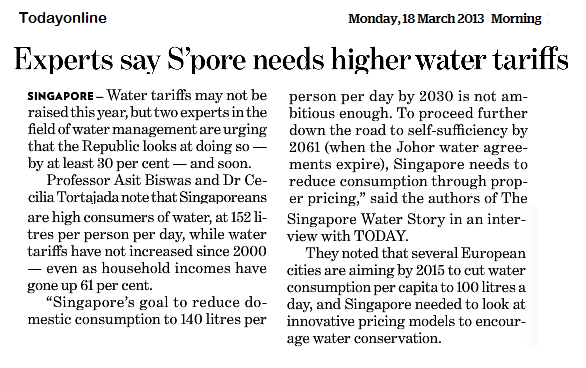 Why is the water consumption so high in Singapore? 2. 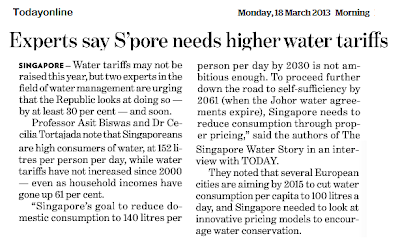 What other ways can we better manage water in Singapore? 1. 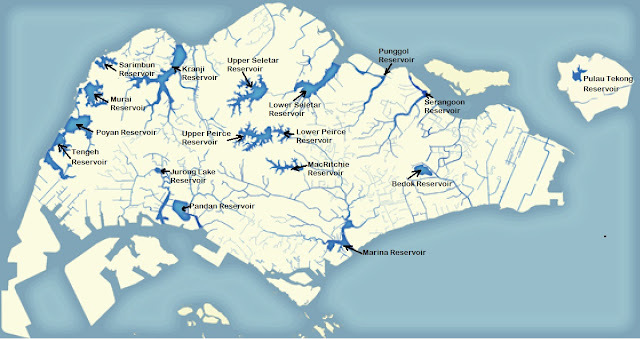 How many reservoirs are there in Singapore? Can you name 3? 2. Why is there a limit on increasing reservoirs to meet the need of water for Singapore? Watch the video on World Water day - how everyone can play a part in water conservation. 0 Response to "Water management in Singapore"